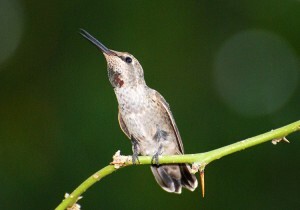 Hummingbirds use perches as a base to hunt insects from, as a resting spot, as a location from which to guard a feeder or flowers, and as a place for a male hummingbird to vocalize. Hummingbirds eat insects for protein. Their insect prey are often very small flying insects, such as gnats. 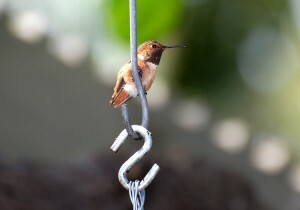 The hummingbirds will use a perch as a base as they fly back and forth in short spurts, hunting insects. Hummingbirds rest between feedings, so perches can serve as a resting spot as well as a lookout. The birds have very small feet, so their perches tend to be thin. They use thin branches and twigs in trees and bushes and even stiff leaves on some plants. They will also use thin wires, such as wires on hanging baskets. 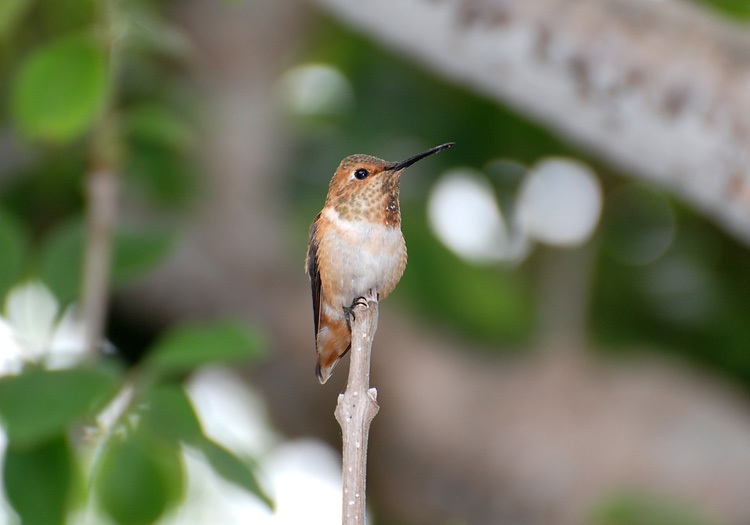 Thin perches are often flexible, and the hummingbirds will ride them in the breeze. 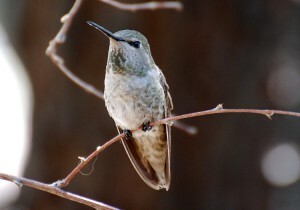 If you notice a dead branch or twig being used as a perch, consider leaving it while the hummingbirds are in the area. Several thin, bare branches extended from a tree near our feeder and hummingbird flowers. The spindly branches were regularly used by the hummingbirds while they watched over their food supply. The hummingbirds often returned repeatedly to the same perch or branch. Males also select high perches as locations from which to vocalize. Below is a picture of a young male Anna’s Hummingbird, perched on a live twig as he sings. Hummingbirds will find their own perches. 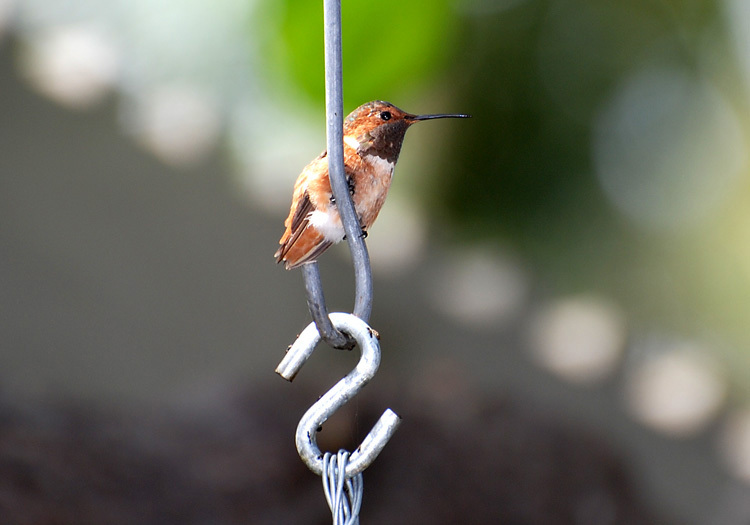 However, you may increase your chances of seeing the birds if there are bare, thin twigs or branches in the open, near hummingbird flowers or a feeder. Return to top of page or home page.